The location was great.MRTS(chaina town and Clarke quay ) and very close. Good value, great location. 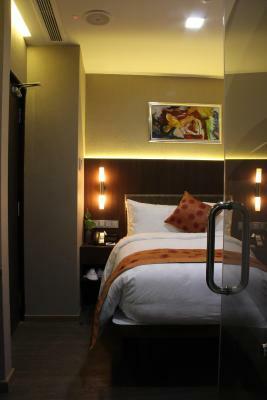 Very clean.. nice to get water and soft drinks included..
Great location, cosy room with a great bed. Plenty of things to see and do around. The staff was super nice, it was our honeymoon and they prepared a lovely surprise in our room. The pool was an added bonus and was really enjoyable. We would go back there in a heart beat! Very nice and helpful customer service. 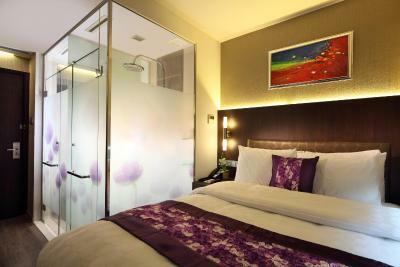 The location is also very nice, as it is located at the heart of downtown Singapore. 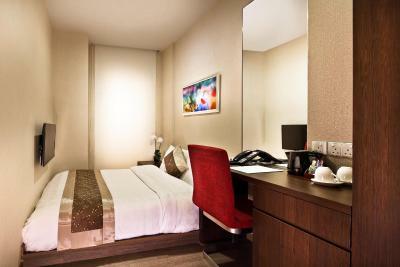 Although the rooms were bit small but properly arranged, we did not have any problem. Cleanliness was superb, the staffs were helpful and breakfast was awesome. 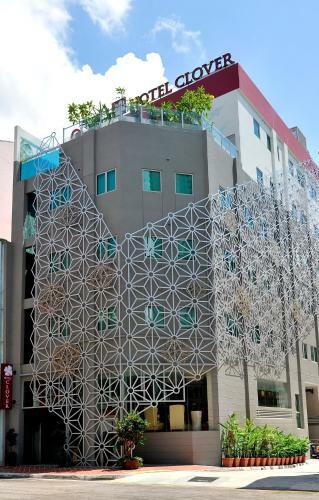 Location was good too, walking distance from Chinatown market and the best thing is walking distance to Boat quay. MRT stations are close. Overall perfect value for money. Staff were knowledgeable and helpful.Clean.Good location. Breakfast good. 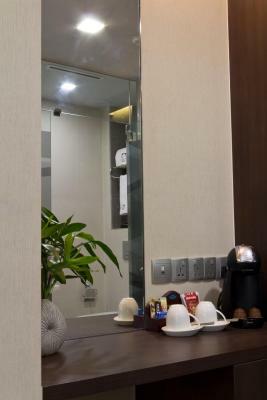 Hotel Clover 5 HongKong Street This rating is a reflection of how the property compares to the industry standard when it comes to price, facilities and services available. It's based on a self-evaluation by the property. Use this rating to help choose your stay! The Hotel Clover 5 Hongkong Street is a 4-star urban boutique hotel located just 900 feet from Clarke Quay, Singapore’s entertainment hub and 2.5 miles from Orchard Road’s popular shopping outlets. The hotel has an outdoor swimming pool and provides free Wi-Fi throughout the property. 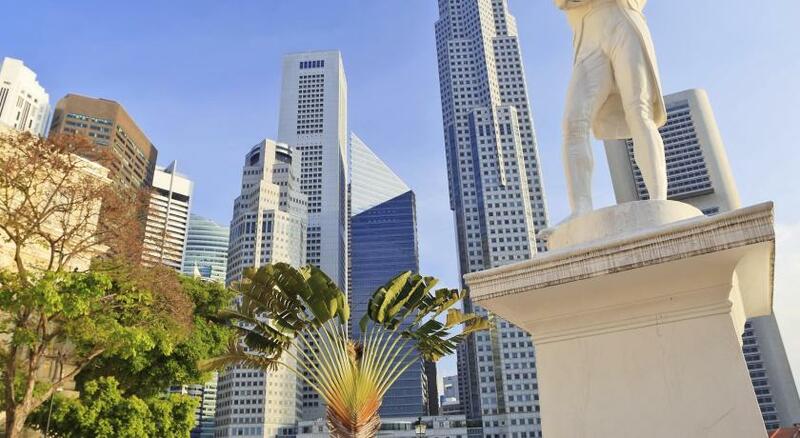 Guests can visit the city’s popular areas like Bugis and Marina Bay, which are located 1 miles and 1.5 miles away, respectively. Chinatown Point Mall is just over a quarter mile away, and Changi Airport is about 12 miles from the hotel. 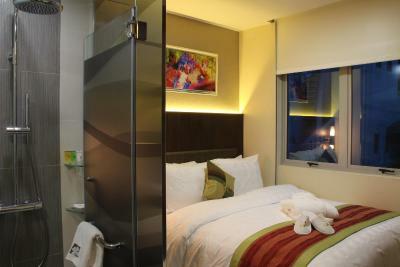 The rooms at Hotel Clover 5 HongKong Street are fully air-conditioned and beautifully decorated. 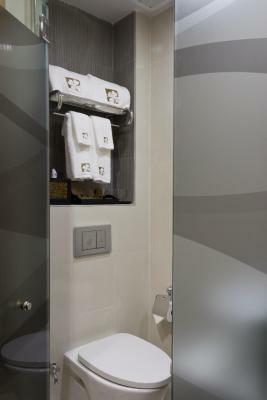 They are fitted with comfortable queen-sized beds and feature a sleek private bathroom. 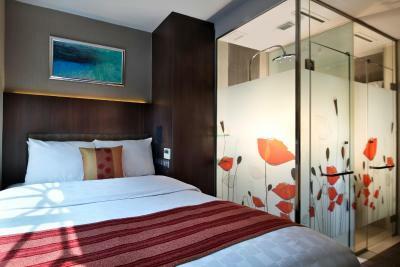 All rooms have a flat-screen cable TV and a minibar. There are many local eateries located along Hongkong Street. 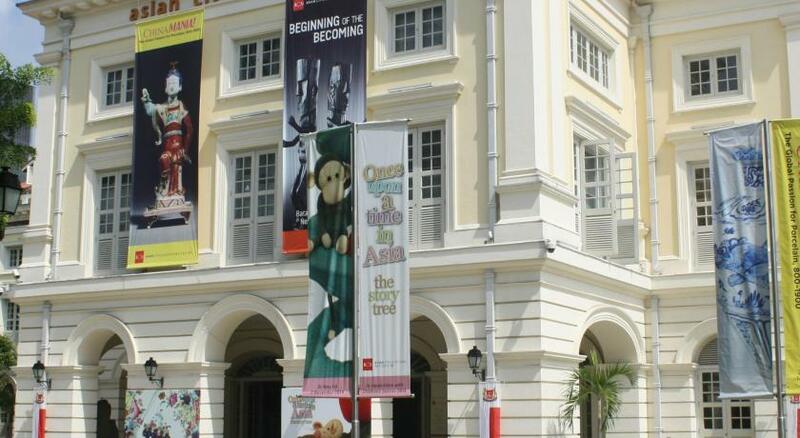 For more dining options, visit Clarke Quay or Chinatown Point Mall, which are located just a short walk away. 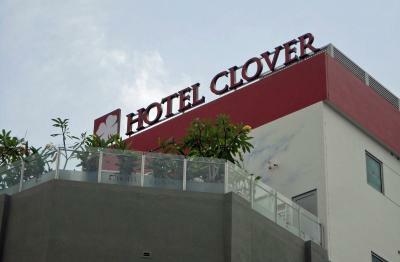 When would you like to stay at Hotel Clover 5 HongKong Street? 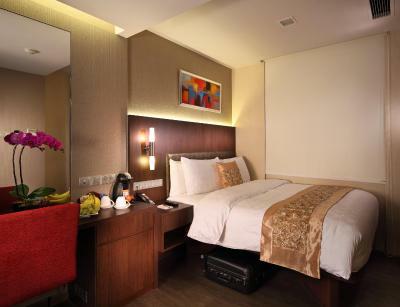 These air-conditioned double rooms have a minibar, an electric teakettle and a personal safe. Includes a flat screen TV and a private bathroom. Rooms are on the 2nd and 3rd floors. Rooms are on the 4th floor. Rooms are on the 5th and 6th floors. 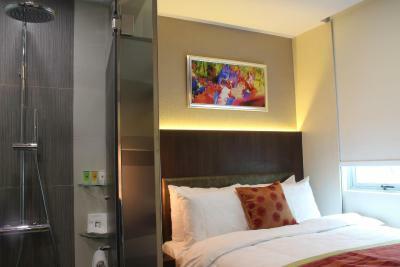 This air-conditioned double rooms has a minibar, an electric teakettle and a personal safe. Includes a flat screen TV and a private bathroom. 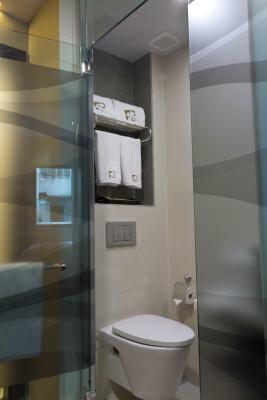 Looking to cater to the needs to our business clientele, Hotel Clover 5 Hong Kong Street is a 6-storey business style boutique hotel communicating simplicity in luxury with a modern contemporary style of arts and culture. In order to pamper our guests even more, coffee machines are exclusively offered in our higher category rooms as an additional perk. 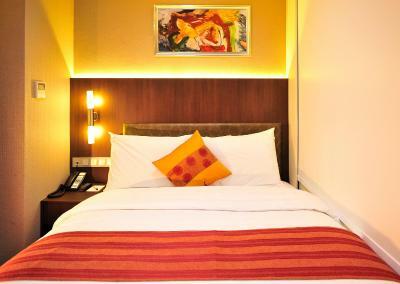 Not forgetting our leisure guests, our rooms are fuss-free yet comfortable! Our hotel offers a unique rooftop terrace pool too for our guests to rest and relax. Do remember to take extra note (and selfies) on the walls as they are specially hand-painted by a homegrown painter! 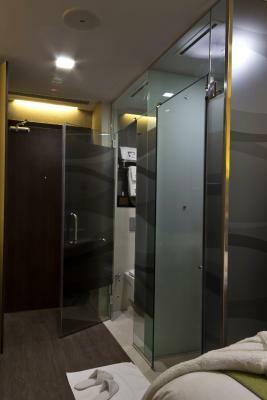 House Rules Hotel Clover 5 HongKong Street takes special requests – add in the next step! Hotel Clover 5 HongKong Street accepts these cards and reserves the right to temporarily hold an amount prior to arrival. 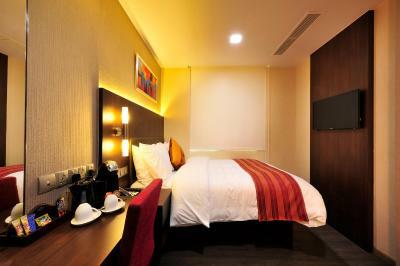 For bookings where payment for the stay will be made directly at the hotel instead of at the time of booking, Debit Card will not be accepted. Kindly provide Credit Card only for guarantee purposes. Hotel will verify the Credit Card provided by placing a 1 night pre-authorization charge prior to arrival. 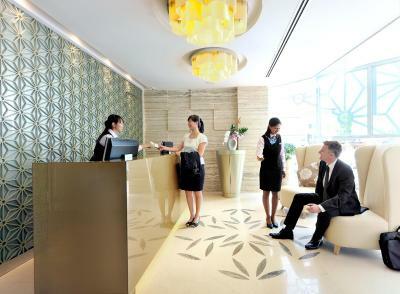 Guests are required to show a photo ID and credit card used for reservation upon check-in. 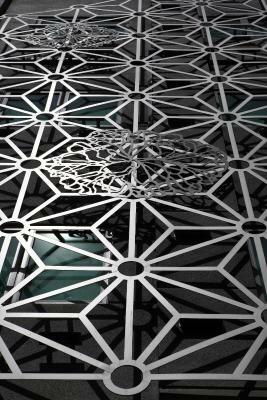 Please note that shortening of stay upon arrival at the property will incur a penalty charge of the total cost of booking (including GST and service charge). Very small room, moving your body can wake another sleeping. Room was extremely small, we only stayed for one night and really struggled. the room is just too small. As always the friendliness of the front office staff. Great location, room and pool! Front office staff. MUCH better than Quay Hotel! Tiny room. Door hard to close. Staff very nice. Nice rooftop pool.